Holidaying is one event that we all long for and take pleasure in. In any case, it gives us a chance to detach ourselves from the monotony of work life in order to enjoy ourselves. It is due to this importance that holiday packages are normally advertised with a lot of passion and, travel brochures are among the most effective tools that individuals in the industry employ. 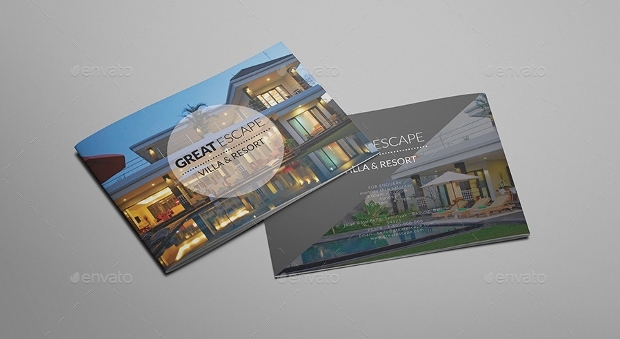 For some insight, here is a collection of top resort brochure designs for you. 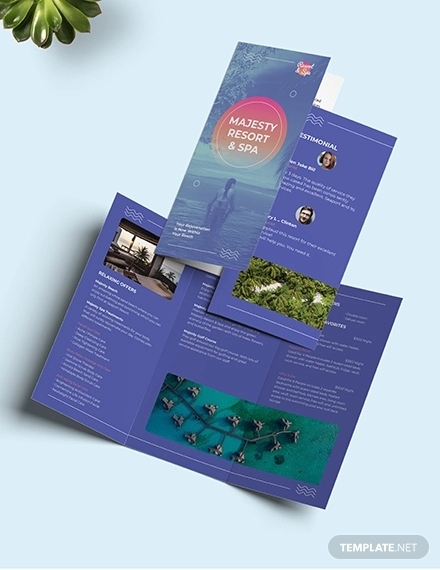 This uncomplicated yet attention-grabbing one-fold brochure with a clean layout can be quite ideal for marketing your hotel or resort effectively and stylishly. The design allows you to set your own color scheme of preference quite effortlessly. 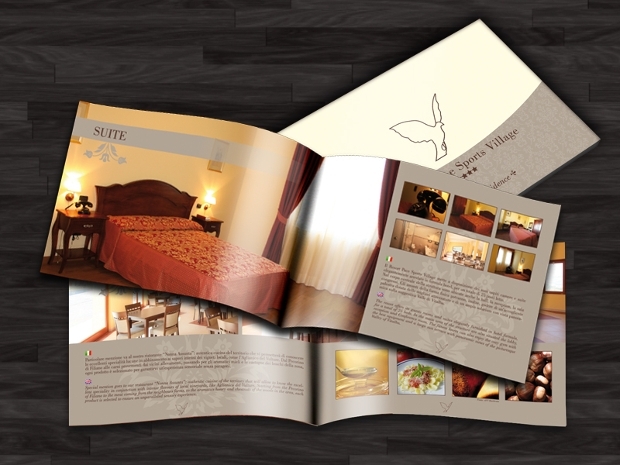 You can download this gorgeous brochure design in InDesign INDD file format. 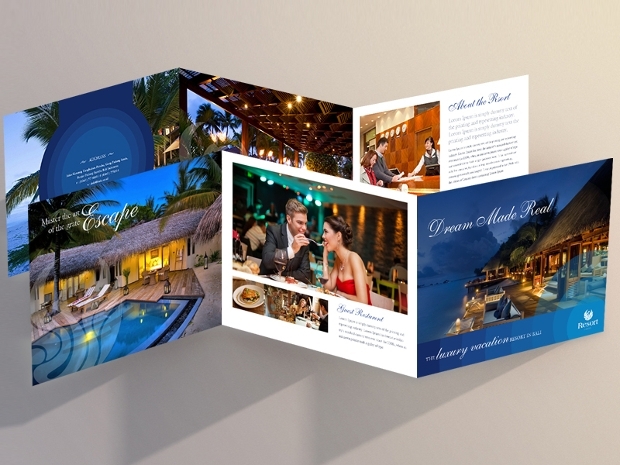 The simplicity and neat layout of this trifold square brochure make it just ideal for use in the marketing of your resort. You can effortlessly replace the logo and text with one that fits your company needs. And, working with this brochure template available in InDesign is quite easy! 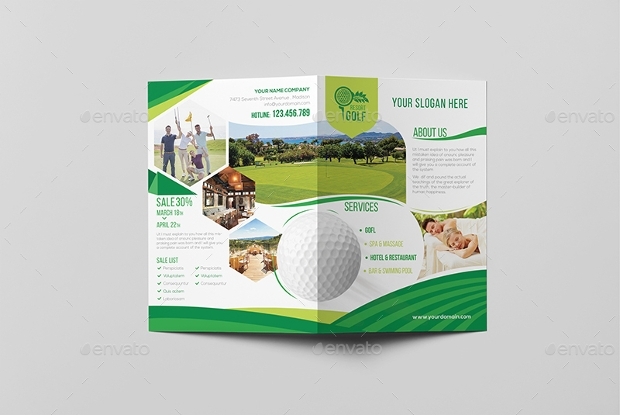 If you would like to advertise your golf resort in a stylish and effective manner, then you definitely need this brochure design. 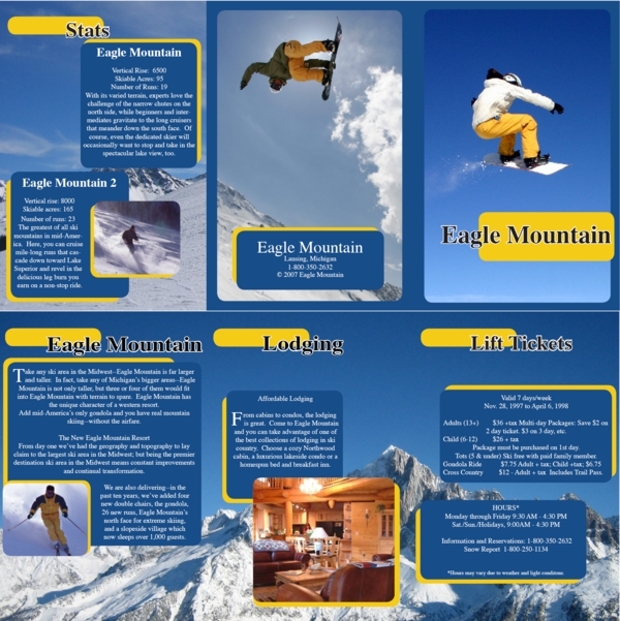 You can edit, customize and resize the elements in this brochure without loss of quality. 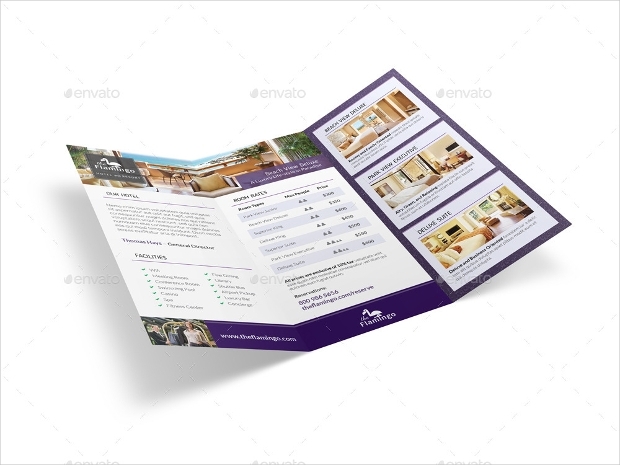 You can get the eye-catching brochure design in a layered PSD file format. 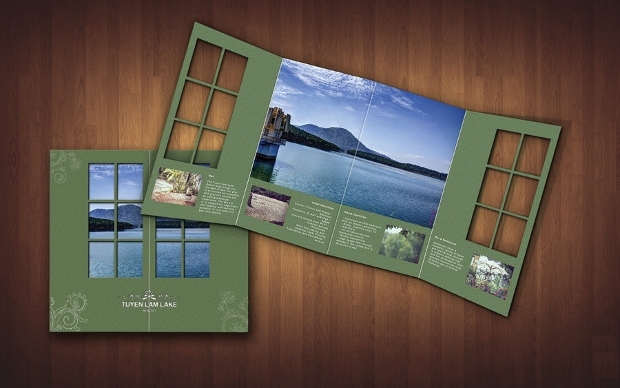 The elegance and beauty of this brochure design are quite outstanding! It comes with a lovely feminine layout. 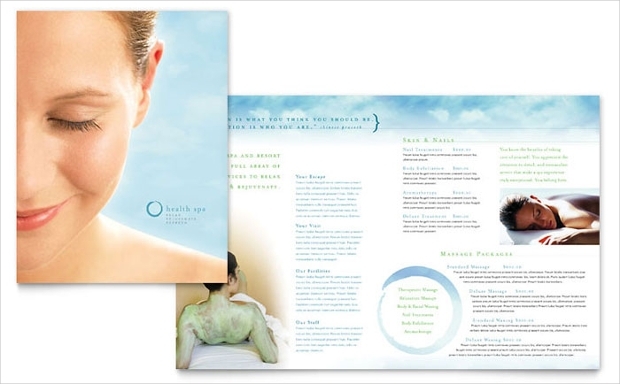 This brochure design can help market your spa, resort, salon or even cosmetics shop quite effectively and captivatingly. 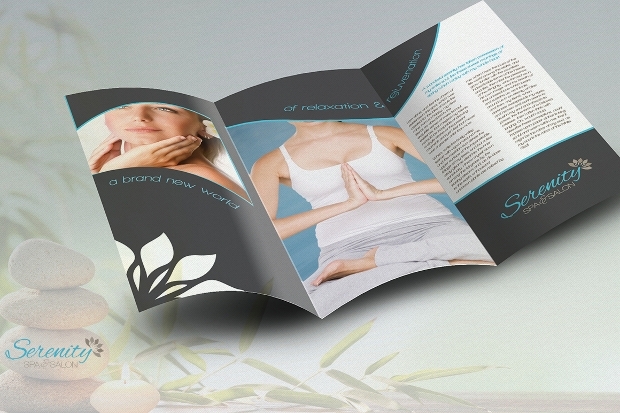 The striking brochure design is available in Vector EPS and AI file formats. 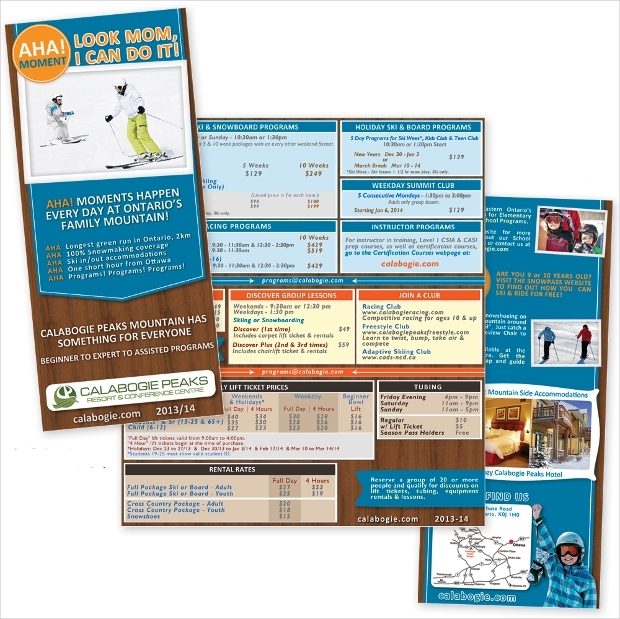 This awesome brochure design can help you roll up all your resort or hotel packages and offers in one neat tool. Available in Vector EPS and AI Illustrator file formats, this brochure design comes in impressive CMYK color mode and a good resolution quality of 300 DPI. 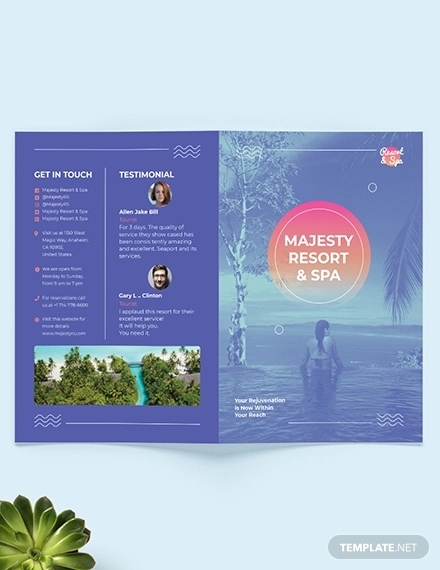 If you want to present the tours and schedules of your travel agency in the most compelling manner to your clients, then this brochure design can be a perfect fit for you. 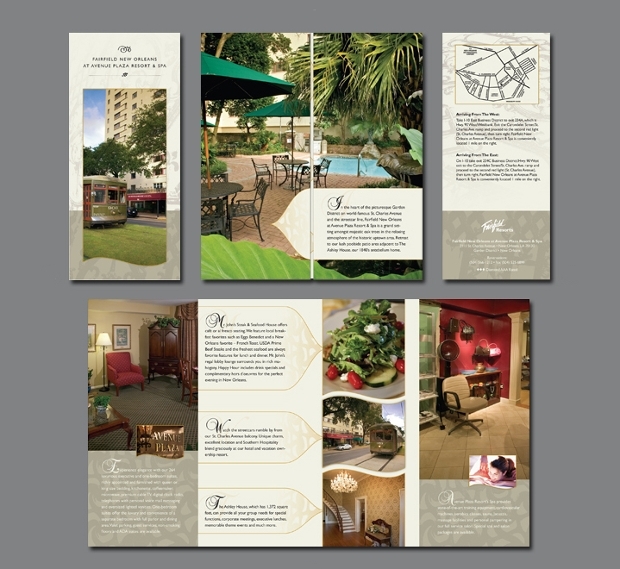 The mini brochure comes with a remarkable design that can accommodate the critical details that you would like the audience to know. 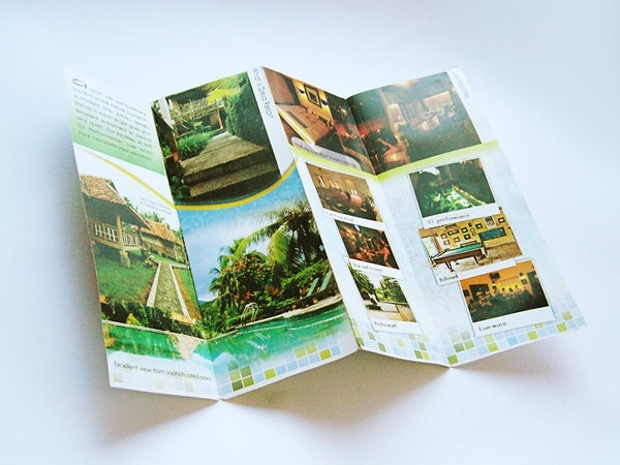 The neat and professional layout of this resort brochure design makes it really attention-grabbing. 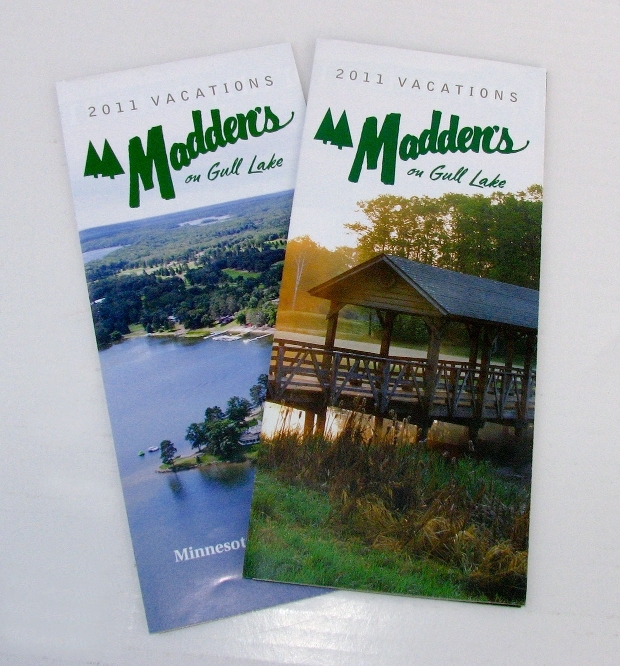 You can opt to print this impressive brochure in either A4 or US letter. It is downloadable in easy-to-work-with assorted file formats including Vector EPS, Photoshop PSD, AI Illustrator and InDesign INDD. 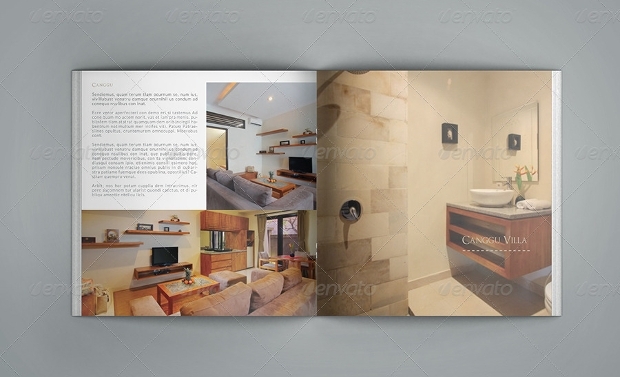 The photorealistic appearance of this brochure is really stunning thanks to its impressive high resolution. The organization and placement of the elements and text in this design is attention-grabbing. 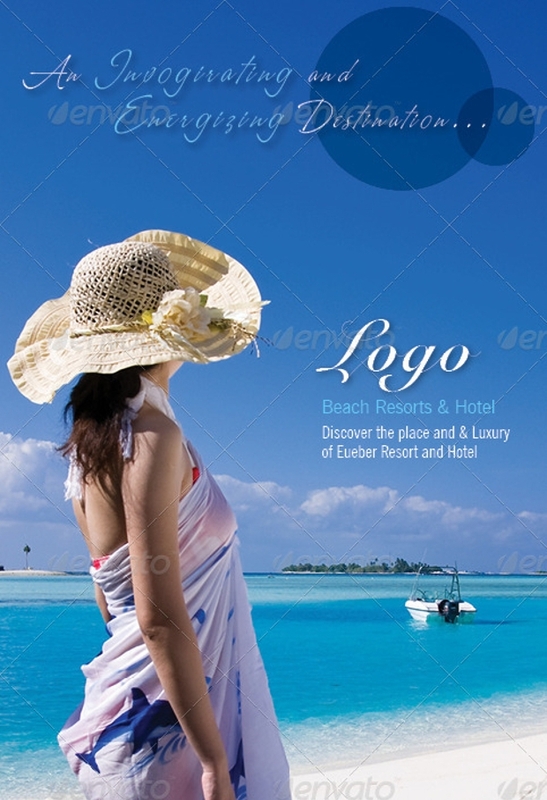 It can be a perfect means for advertising your resort spa. 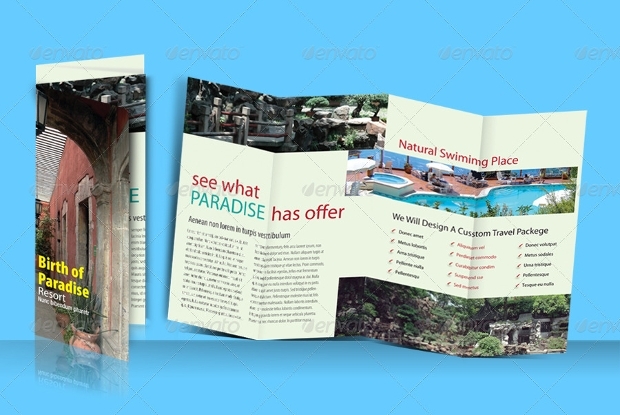 Presenting your holiday resort with such an elegant brochure would make the prospective customers want to spend their holiday in your resort. The minimalist style of this square design gives it a really elegant appearance. It is downloadable in InDesign INDD format. 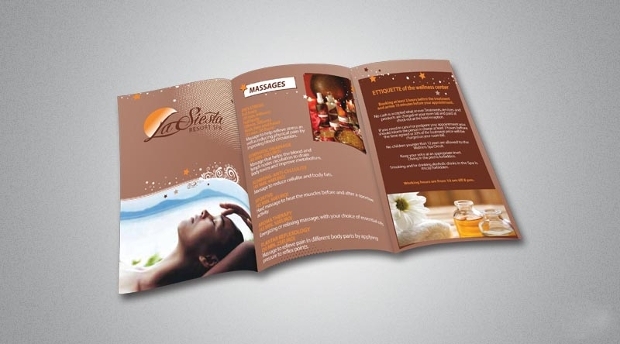 This brochure template can help promote your day spa and resort business quite spectacularly. It is clean and elegant in design. 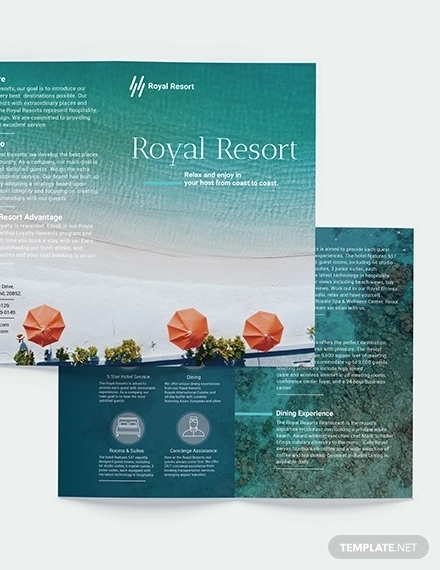 You can use the template to create your own personalized brochure design that can help promote the resort more uniquely. 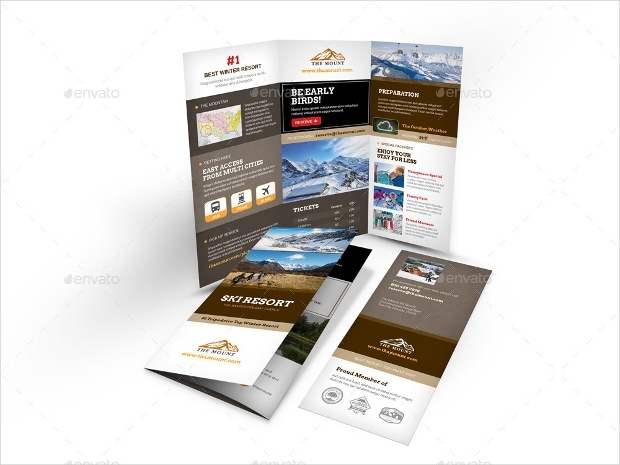 By using any one of the templates in this collection, you’re likely to come up with one of the best ever and highly presentable brochures for your holiday resort corporation. 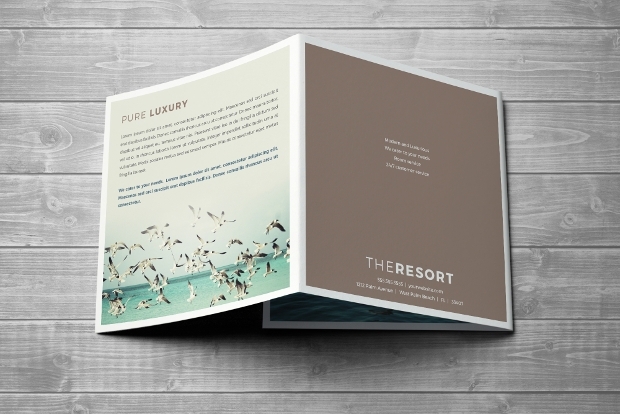 Just make a point of following the appropriate Internal link anchor text and create a perfect brochure to showcase your resort.